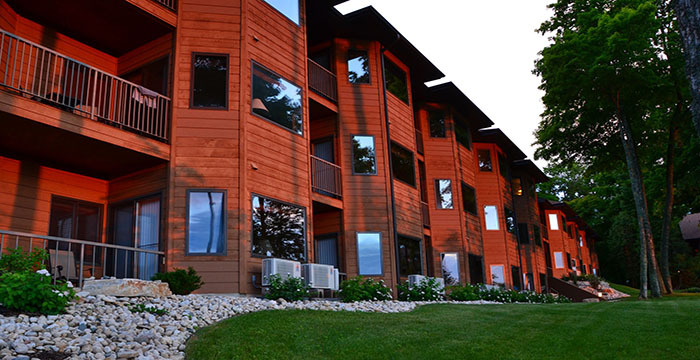 Nestled in the natural beauty of Door Countys landscape, the Landmark Resort features tastefully-appointed one, two and three-bedroom condominium suites. 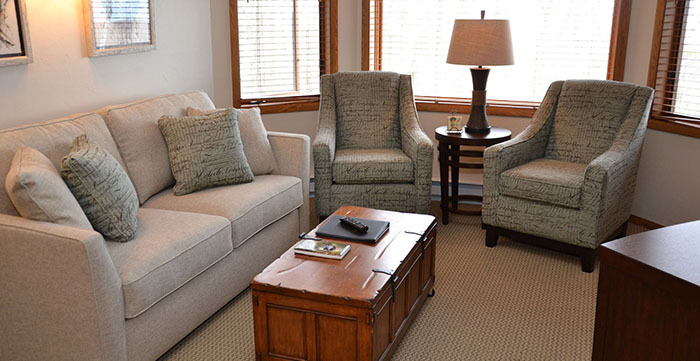 With alternate views of the forested countryside or Green Bays glistening waters, the suites include a fully- equipped kitchen, living room, deck or patio within a smoke-free environment. 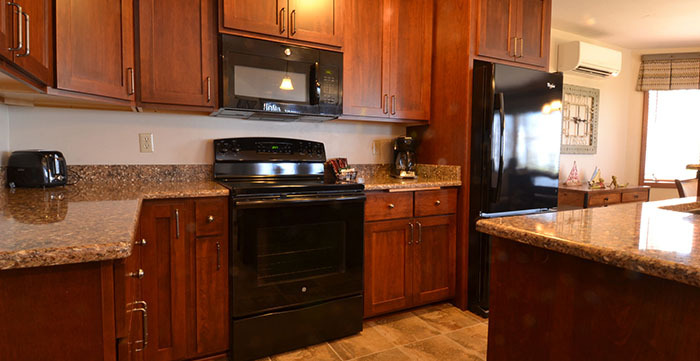 All of the units are air-conditioned, feature cable television, and a DVD player. 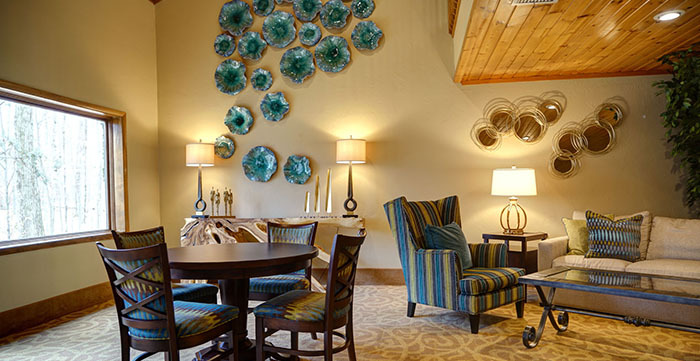 Free wireless internet is available throughout the resort. 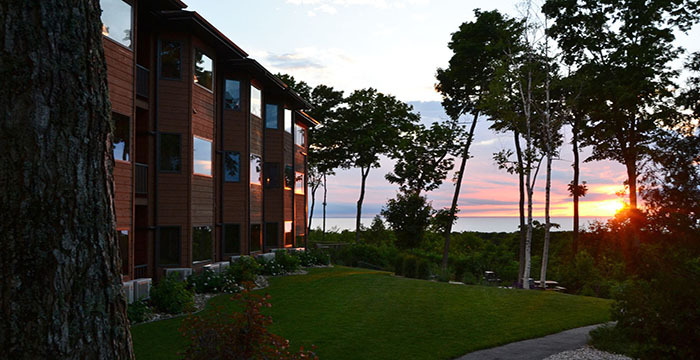 Nestled in the natural beauty of Door Countys landscape, the Landmark Resort is about creating memories that will linger long after returning home. 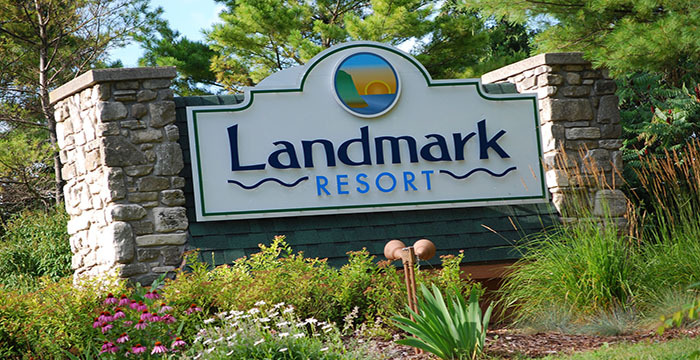 With quiet charm and simple hospitality, the Landmark Resort is the perfect setting for a getaway weekend, family reunion, destination wedding or business retreat. 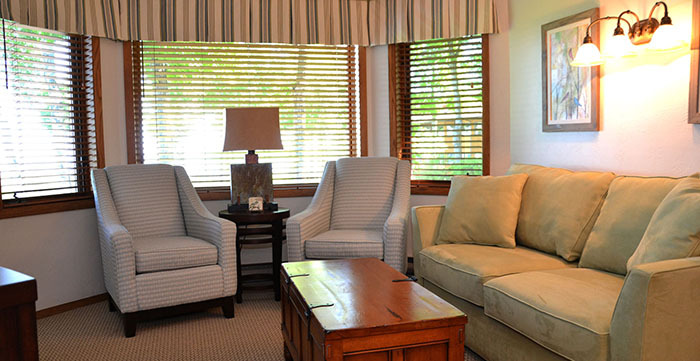 From the moment guests arrive, the Landmark Resort tradition of service and attention to detail is in evidence. 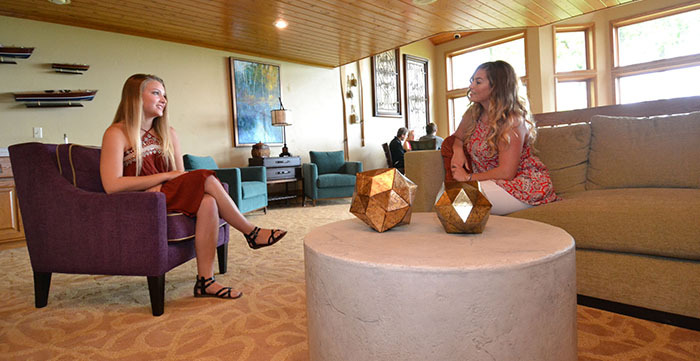 Earning top honors in the "Best Customer Service" category in Door County magazines 2009 "Best of Door County" balloting the Landmark Resort welcomes every guest with a warm smile. 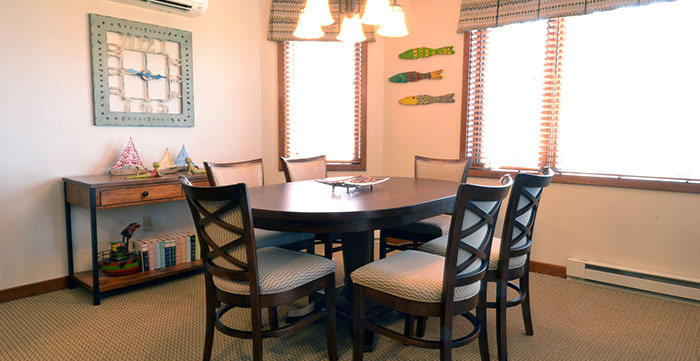 The attentive staff is ready to handle your every need. 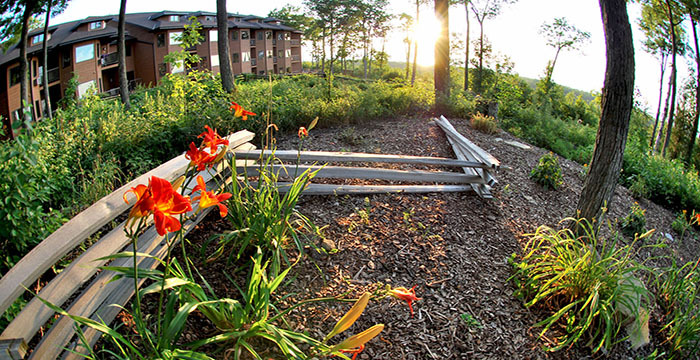 Sprawling along the wooded bluff formed by the Niagara Escarpment, 294 units within four buildings feature accommodations to meet every guests needs. 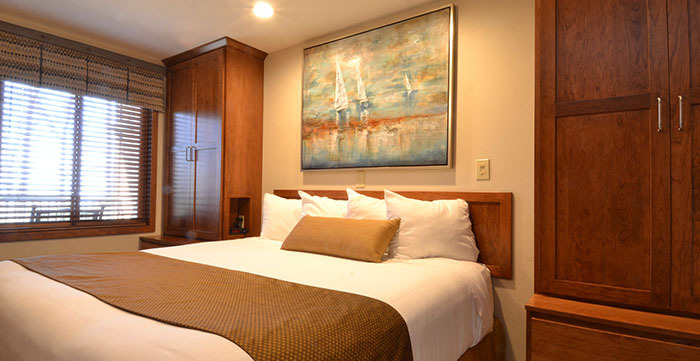 With an extensive selection of accommodations, guests can select from 16 unit combinations. 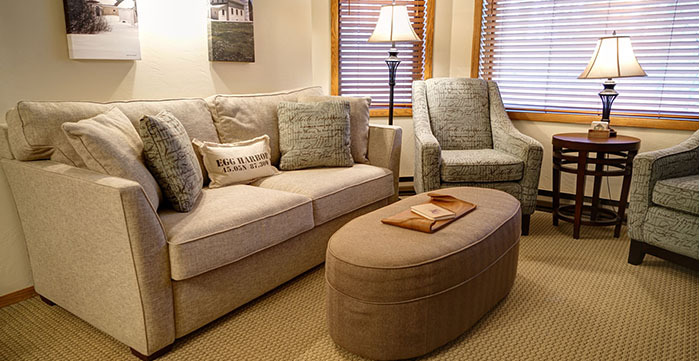 Each of the spacious one, two and three-bedroom condominium suites is tastefully appointed. 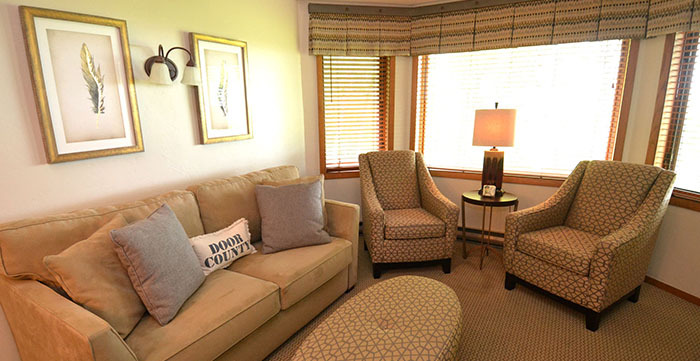 Comfortable and casual, the accommodations reflect Door Countys relaxed attitude. 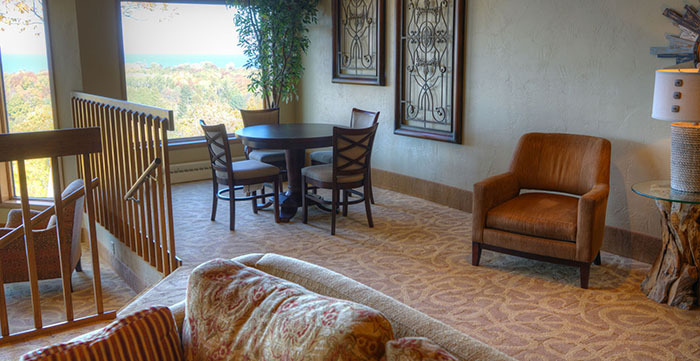 With alternate views of the forested countryside or Green Bays glistening waters, the suites include a fully-equipped kitchen, living room, deck or patio within a smoke-free environment. 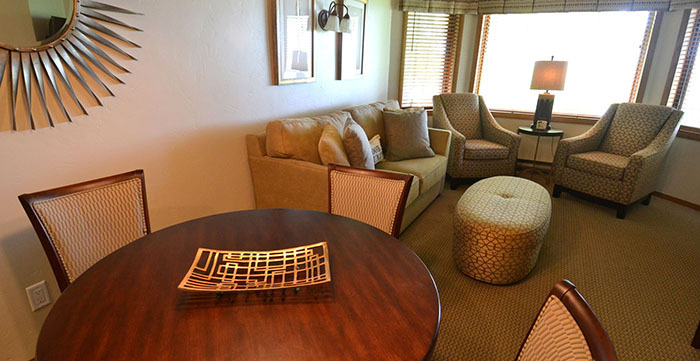 All of the units are air-conditioned, feature cable television access, and a DVD player. 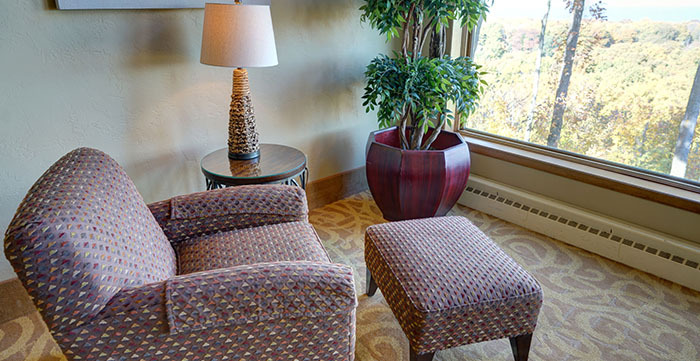 Free wireless internet is accessible throughout the complex. 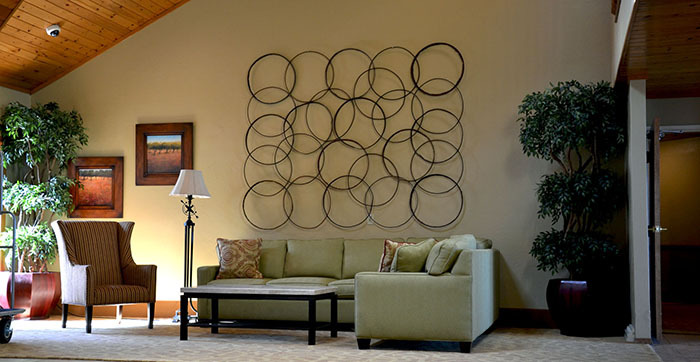 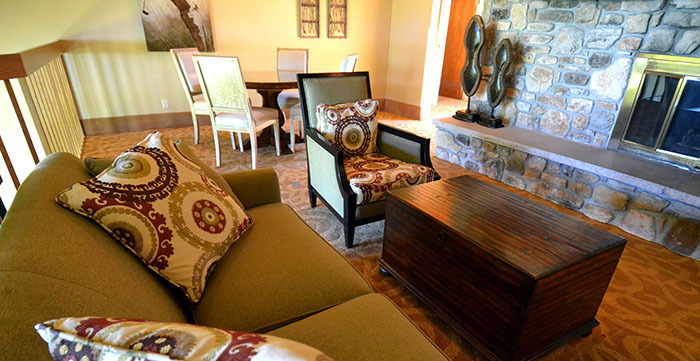 Guests who arrive with relaxation as their priority, need not leave the 40-acre property. 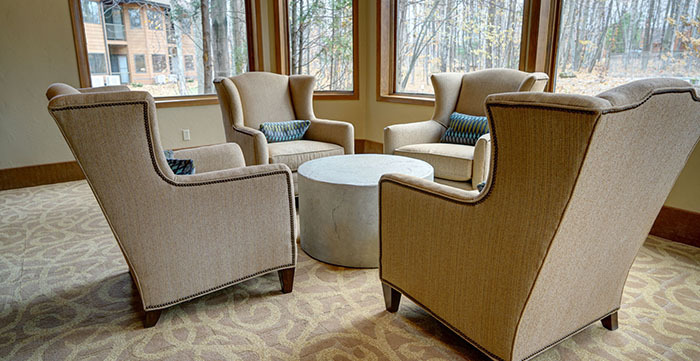 Spacious gathering areas in each building invite guests to pick up a book and settle in for an afternoon of quiet reading. 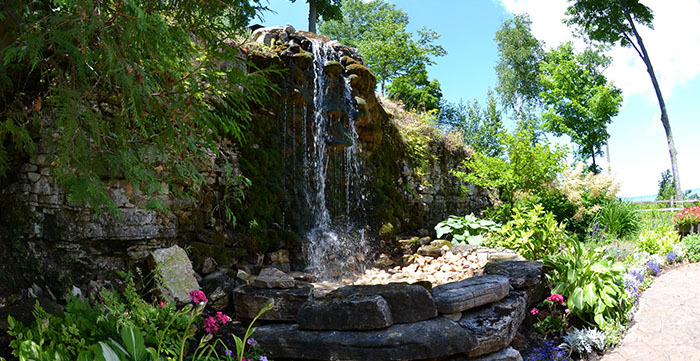 Five whirlpools and four steam rooms will melt away tensions; lounge chairs around the three outdoor pools tempt guests to soak up the sun. 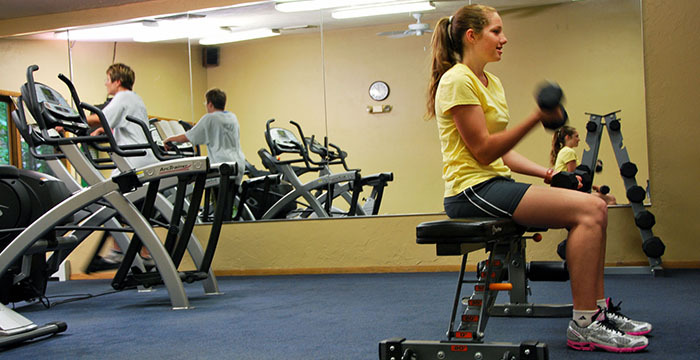 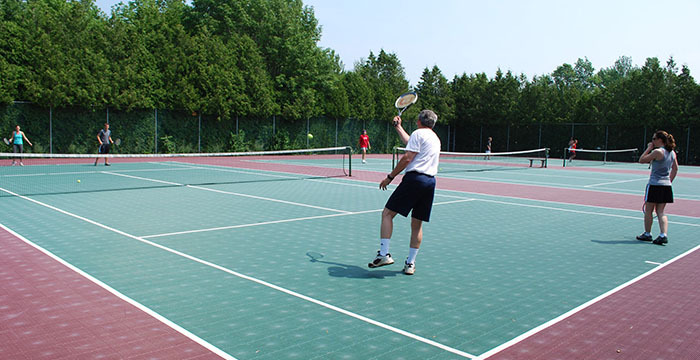 For guests who enjoy more physical activities, a fitness room, outdoor courts - including tennis, shuffleboard, basketball, and volleyball - are open to all guests. 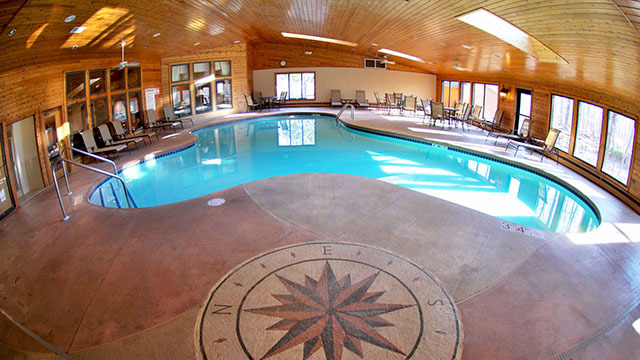 The indoor pool is open 24/7 for guests 18 years and older. 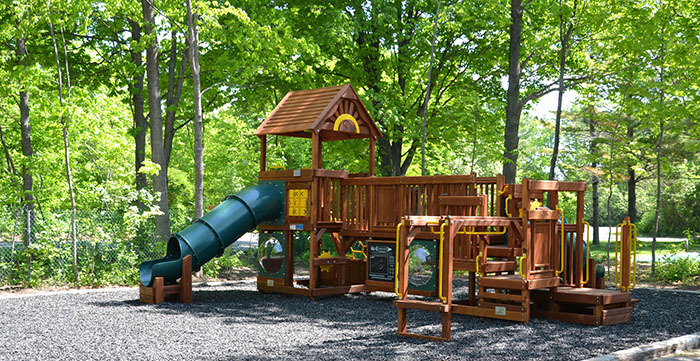 For the younger set, the game room is open. 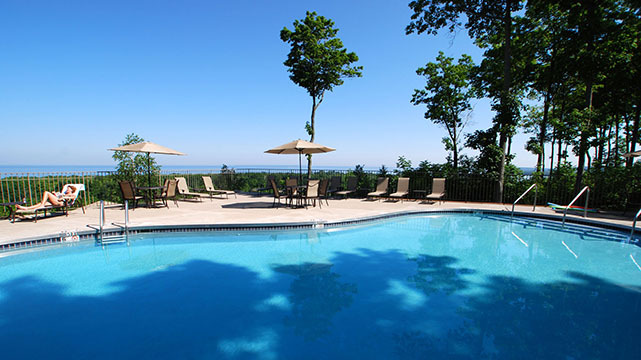 The largest resort in Door County, the Landmark Resort consistently provides a picture perfect vacation. 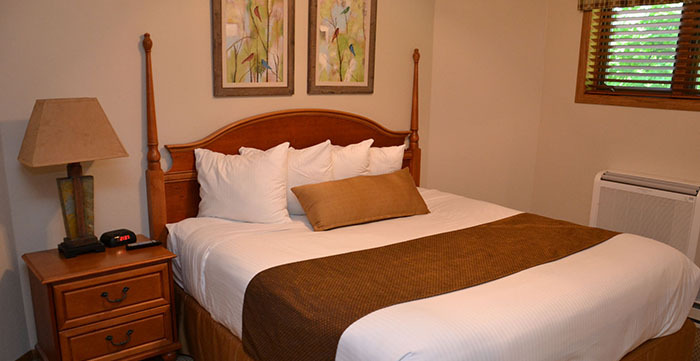 Call your relaxation expert to book your getaway today.